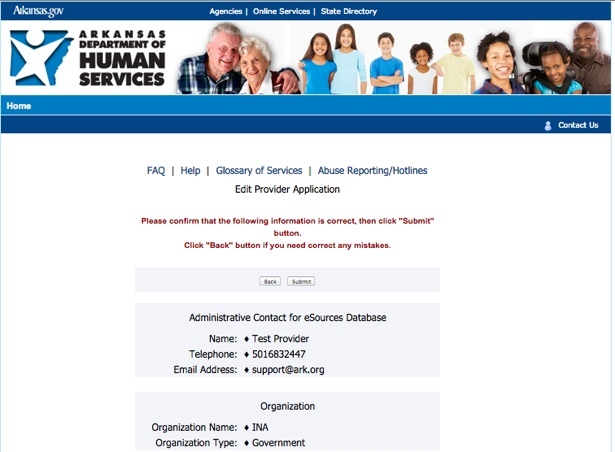 Click the eSources link that is located under Service Directory on the DHS home page or go directly to the eSources site. 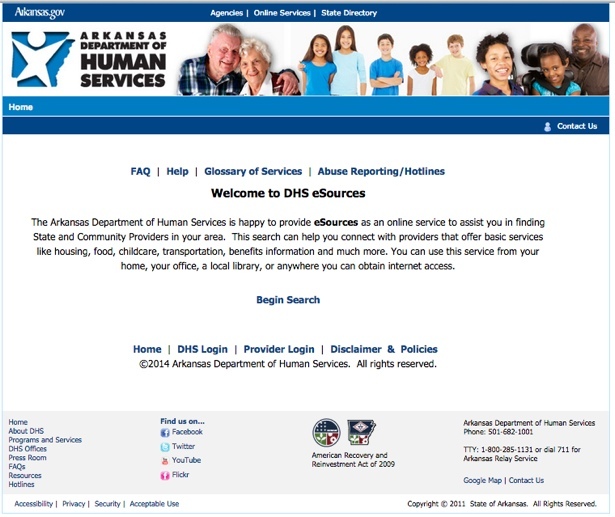 Click the Provider Login or Enroll link to display the DHS Login screen. Enter your username and password in the appropriate boxes and click on Login button. 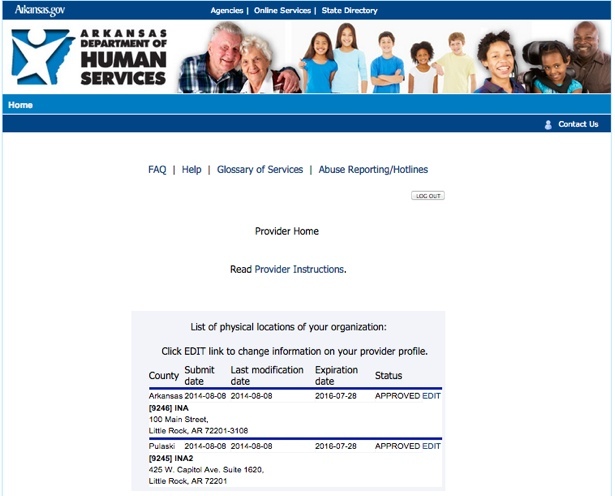 The Provider Home Page will display. Click Edit to make changes. This will display the Edit Provider Application Screen. 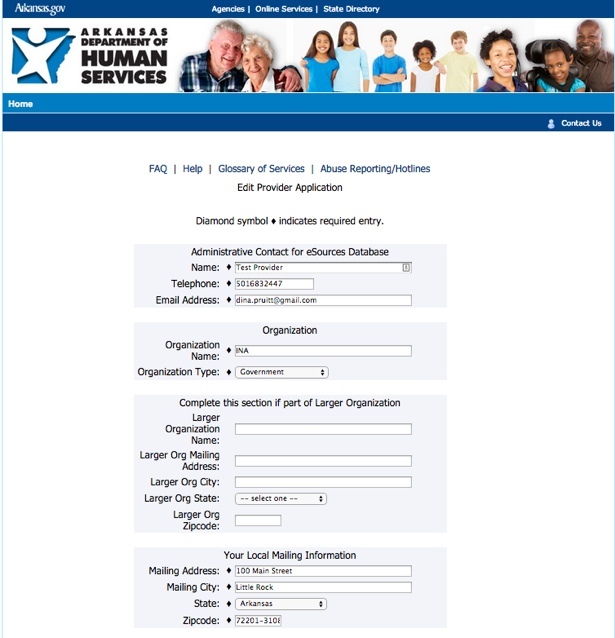 Correct and/or complete your provider information. Click the Submit button at the bottom of the page. 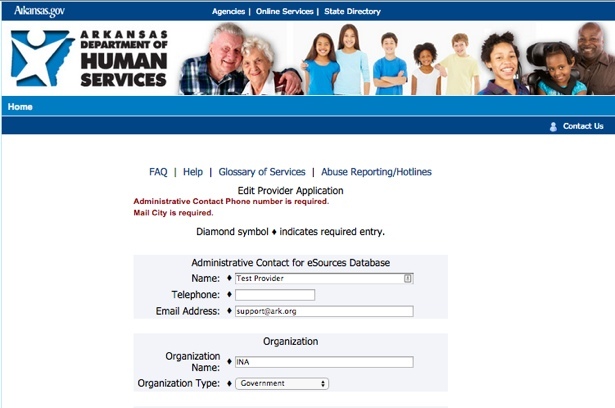 The program will check for missing or invalid information. If there are errors, the screen will be displayed again with a list of errors at the top of the page. You will need to correct errors and click on the Submit button again. If there are no errors, the screen below will be displayed. Click the Submit button if everything is correct or Back if changes are needed. 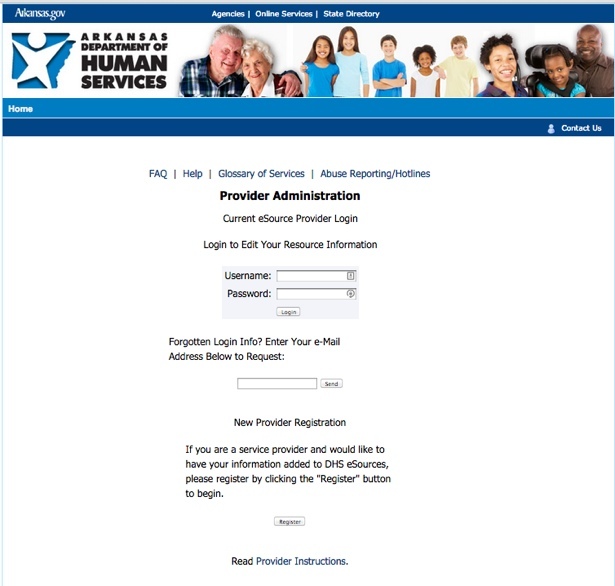 The Provider Home Page screen will again be displayed. Thank you for being a part of DHS eSources.